The alkaline diet plan is really popular and should be implemented step by step instead of diving into it from the first day. There’s no need of being perfect; you can enjoy life while on the diet. There is no need of changing your personality to feel healthy with an alkaline diet. Just follow these 5 easy steps to adjust, follow and live with the diet. Eat more of alkaline foods. They are already known to be good for you like fresh vegetables, leafy greens, salads, low-sugar fruits, seeds and healthy oils and unrefined, organic and high-water content foods. Consequently, acidic foods are unhealthy foods like fast foods, sugar, trans-fats, refined foods, caffeine, white pasta and rice, alcohol, ice-cream, pizza, chocolate, chips, white bread and sugar. The ideal diet ratio to follow is 80% alkaline foods and 20% acidic foods. Alkaline water: Easily made using a water ionizer, adding freshly squeezed lemon and pH drops. Green powder: This is a mixture of powdered fruits, vegetables, grasses, sprouts and especially barley grass and wheatgrass. Alkaline minerals: Your body uses alkaline minerals like sodium, calcium, potassium and magnesium to buffer acids. Omega oils: Omega 3 supplements and omega oil blends with omega -3, -6 and -9 are all helpful. Take things slowly as most people who try to follow the alkaline diet plan full fledge from day one usually fail within a week or so. They just force the change on them instead of learning, experimenting and finding meals which work best for them. They thus end up feeling hungry, fed up and restricted about the diet. Instead, slowly go through the transition and stick to it for long-term. Don’t try to get perfect with the diet in a day or two and end up crashing out of it. About 90% of the people are chronically dehydrated, and this affects their quality of life. Hydration helps experience a great difference in your health, vitality, energy and immunity levels as everything in the body is dependent on the quality and quantity of water you drink. It’s even better if you filter your water and make it alkaline with pH between 8 and 9.5. Drink 6 to 18 cups of water, about half your body weight in ounces every day. Drinking lemon water made by filtering 2 cups of lukewarm water with freshly-squeezed juice of ¼ lemon helps. Though lemon is acidic in natural form, it is alkaline-forming once consumed. A simple breathing exercise performed once or twice a day helps in removing acids from your body. You can thus stop and focus your mind while visualizing on things and relaxing. Just sit comfortably, close your eyes and breathe in for a count of 2 and hold for 8 counts. Then breathe out for 4 counts and repeat the same exercise 10 times. 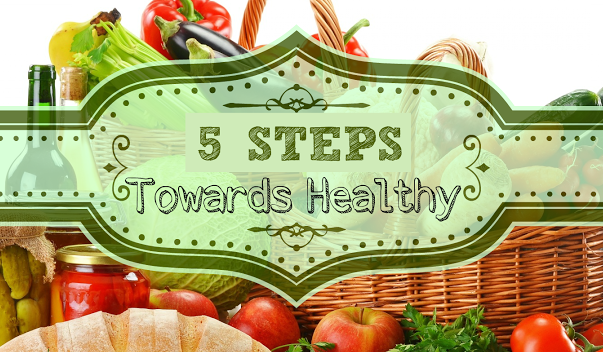 By using these 5 steps to slowly implement the alkaline diet plan, you can aim for 80/20 instead of perfection so that you can enjoy the diet. Keep things simple and you will start loving the benefits an alkaline lifestyle offers you!